Mark Netty's first step in music were spent playing bass guitar in a heavy rock band, but the explosion of electronic music in Luxembourg during the 90's saw him quickly develop a love for the underground dance music movement. After buying a set of turntables and teaching himself to mix records together he began playing small parties leading on to his first residency in 1998. 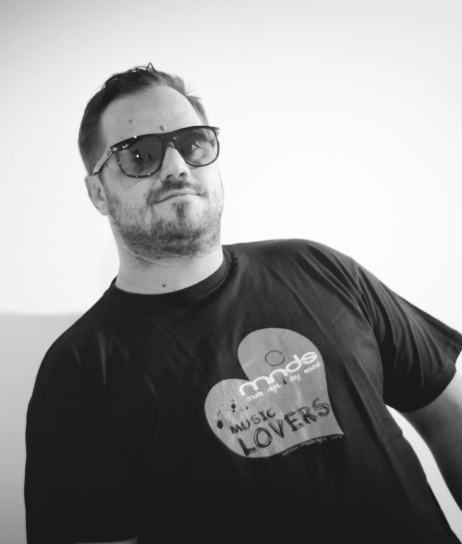 Since those early days Mark has progressed to become one of the finest Dj’s Luxembourg has to offer, his career has seen him share the booth with leading figures such as Sven Vath, Jeff Mills, Chris Leibing, Adam Beyer and Dave Clarke at venues across Europe including Rex (Paris) and Fabrik (Madrid) and many more. The past few years have seen Mark spending more time in the studio, taking the deep techno beats played in his headline sets and transfering them with his own ideas into dancefloor killers of his own. Often found working with good friend Pablo Discobar his music has worked its way into the record bags of Dj's across the whole spectrum of underground techno. Joining the Revolucion with his label debut release making great waves among the techno scene back in June 2016.